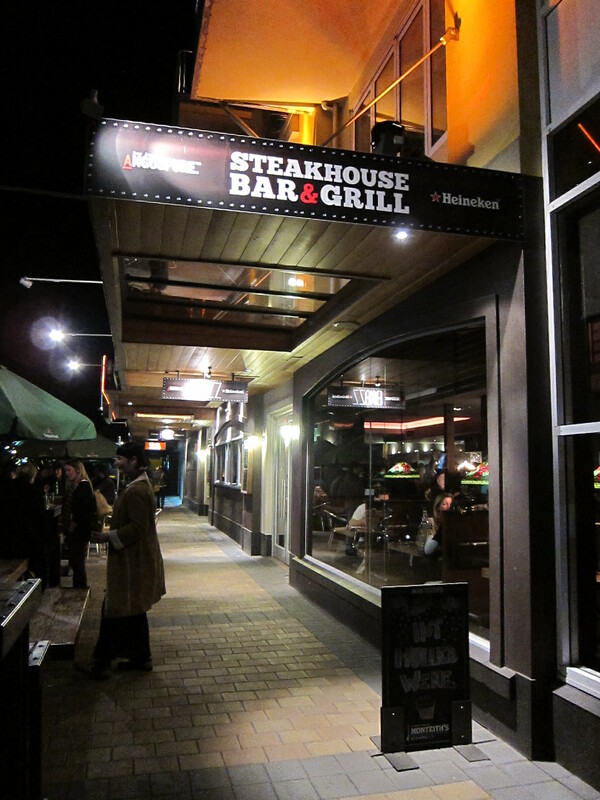 Continuing where I had left off from my previous post on Christchurch, we finally got to Queenstown that night, and we were STARVING! 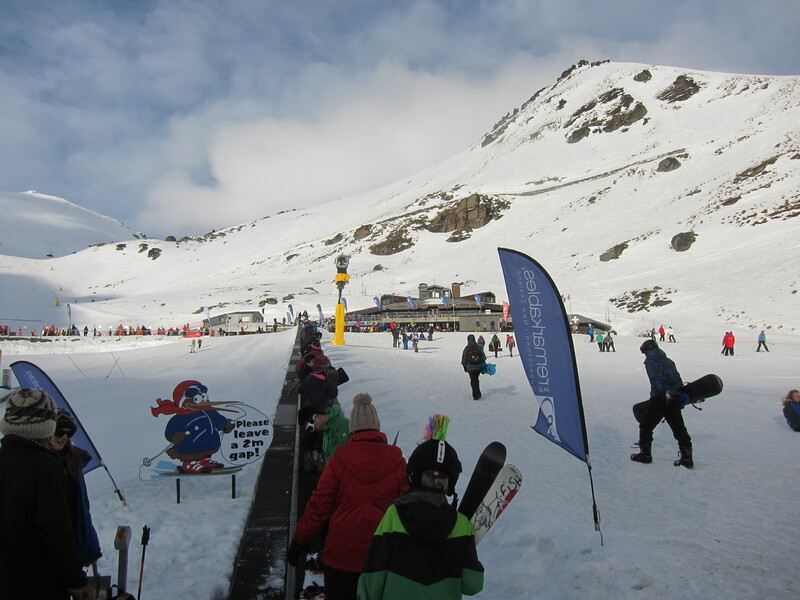 What I really liked about Queenstown is that everything is congregated in the city centre – there are residential areas further out towards Arrowtown, but the heart of the town is where everything’s at – you get your bars, restaurants, supermarket, ski shops, souvenir shops etc. The best thing is, that it’s all within walking distance. 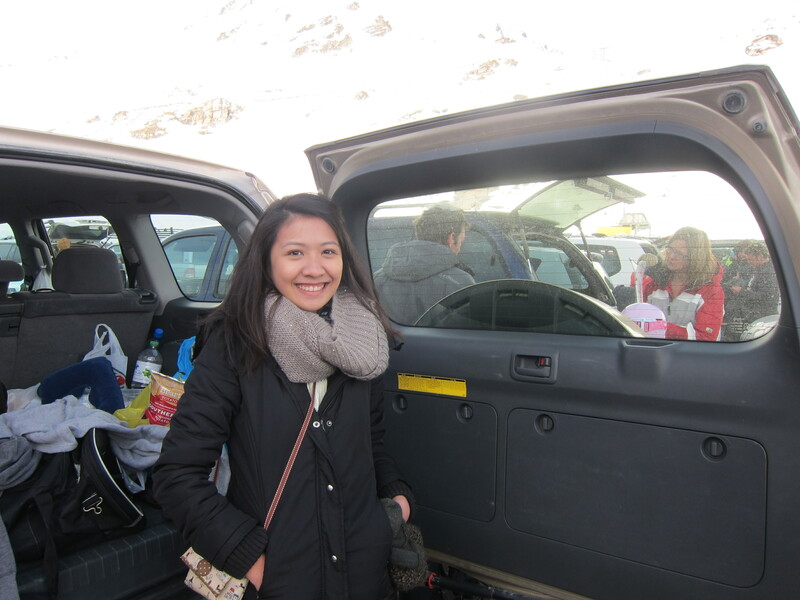 It was really easy for us to grab food before we left to ski every morning, and we didn’t have to take the car out every night just to get dinner. That night, we chanced upon Brazz Steakhouse Bar and Grill. And can I say that it was just amazing! I expected something tacky, perhaps something like Hooters with average steaks. But our entire table was just wowed by their food and for what it was worth (which isn’t actually a lot) Andrew and I ordered the chicken and ribs combo, and you get to choose your sides. I tend to order a medium to well done for my steaks but Andrew likes it medium-rare. Brazz did their steaks so well – the meat was soft and cooked so well without any of the blood oozing out (that’s why I tend to steer away from a medium-rare). It’s clear why the place was packed with people, locals and tourists alike. 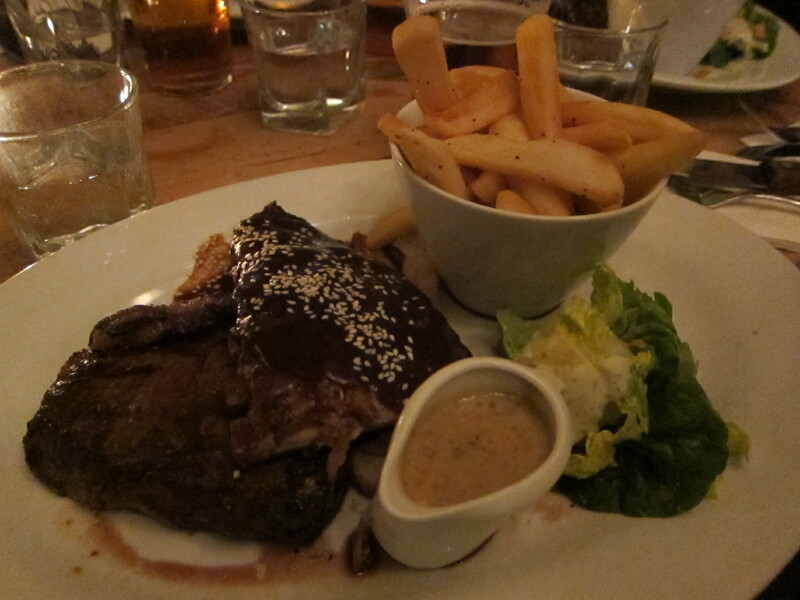 Brazz had such a homely feel to it and I dare say it has one of the best steaks I had in my life! Definitely a must-have while in Queenstown. The next morning, it was an early start of all of us – I think we really pushed our body to the limits when we were there. We were skiing almost everyday. I also tried snowboarding for a day. 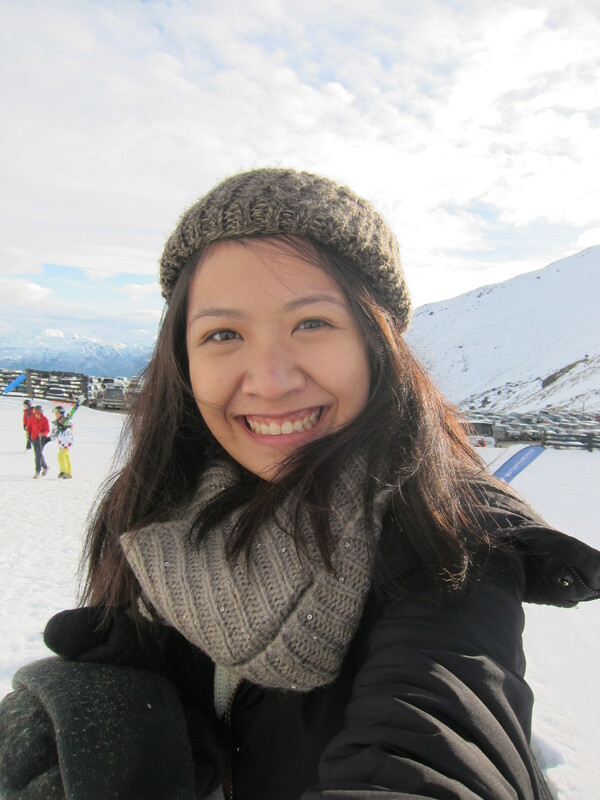 Since Queenstown was 4 hours ahead of Singapore and Perth, that meant waking up at 3.30am Singapore time (7.30am Queenstown) every morning, and thereafter getting breakfast and lunch for the day and hitting the slopes at 9am (5am Singapore time). It was pretty crazy but our bodies adapted to the time difference pretty well. Suffice to say, we slept really soundly at night. 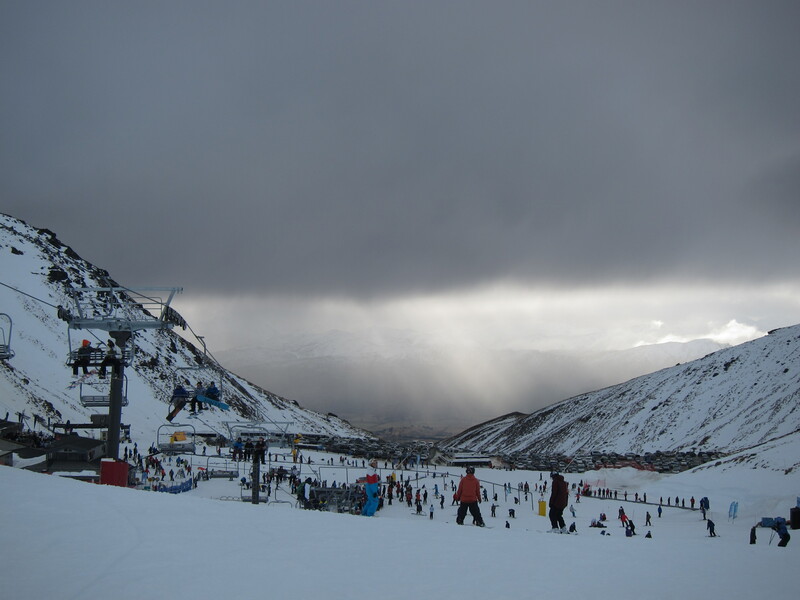 I was really excited on the first day to hit the slopes because of many things. I’ve only experienced snow once, that is, in Austin three years ago, but it was a really rare event, or so I heard. And also, I was able to pick up a new sport! Anyone who knows me well, knows that I’m not the most athletic person, in fact, I’m the last person you would associate with “athletic”. But I was game! When we finally got there, it made the travelling all worth it. As I looked at the snow-capped mountains against the clear blue skies, I felt so small. I stood in awe as I took in the wondrous sights, all of which are God’s amazing creations. 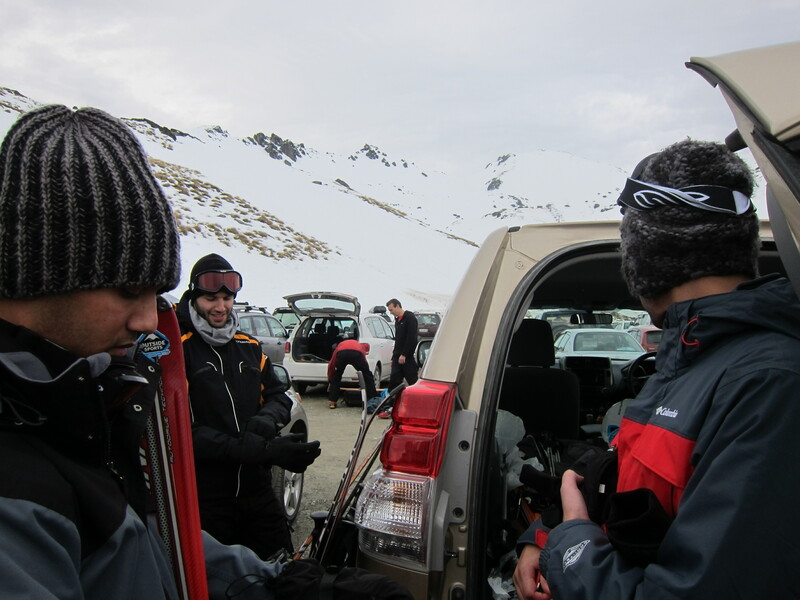 Since we were new to skiing, we decided to take a private lesson from the ski resort, although on hindsight, the boys felt that we could have managed on our own. Boys will be boys! From my perspective, a lesson (they offer group lessons too) would be good – to learn the basics as well as safety measures. I cannot emphasise how important that is! I fell so many times while skiing, that I ended up with so many bruises. I sprained my knee too. Never take chances, as silly looking as they may be, the helmets are really crucial. We would see a helicopter fly in almost daily to take someone who might have injured their back or worse, spine, to the hospital. It was crazy! 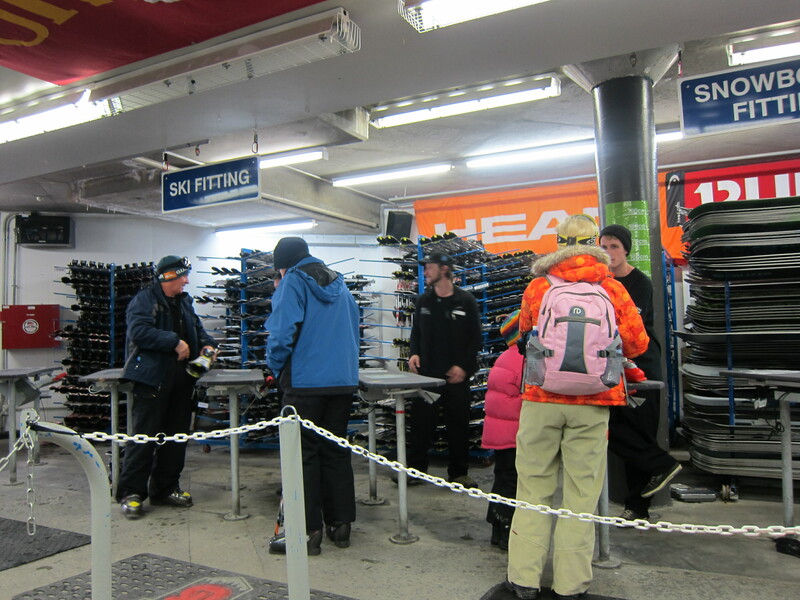 We rented our ski gear (including jackets and pants) from the ski resort on the first day – it wasn’t cheap. You would be better off renting your gear in town, where prices are significantly cheaper. At times, you might get a discount if you rent it for a minimum of 3 days or if you stayed in a hotel/hostel they’ve partnered with. Admittedly, it is a pricey activity. I guess it is especially so for someone like myself who stays in such a humid country with no need for winter gear whatsoever. 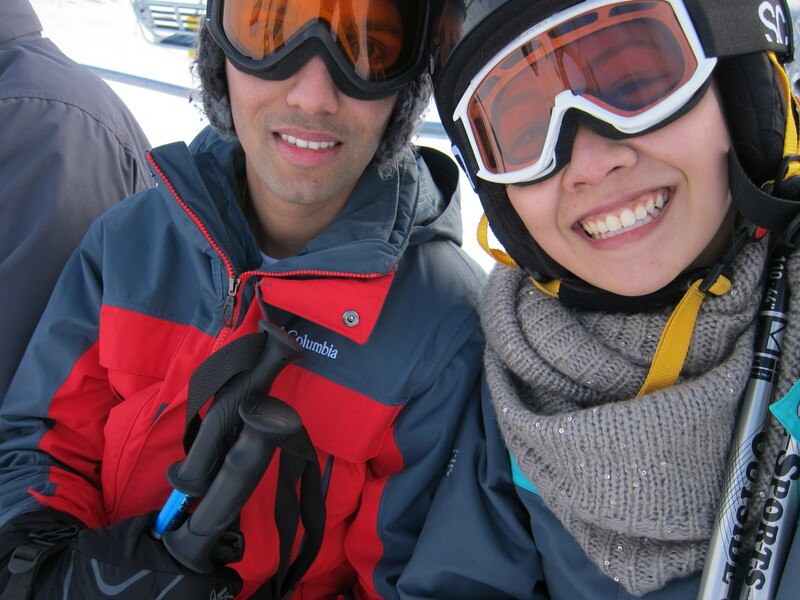 On top of the ski gear that I had to rent, we had to pay a daily admission fee (half day/full day) to use the slopes. When you’re skiing, the lesser items you have on you, the better. I risked taking the camera up to the slopes with me on the second day, simply because I couldn’t resist taking pictures of the vast area. We kept some cash/credit card in our pockets, but everything else stayed in the car. It was really cold, especially when the wind blew in our direction but thankfully I had a good jacket and pants with me, so much so, that all I wore inside were my cotton thermals. 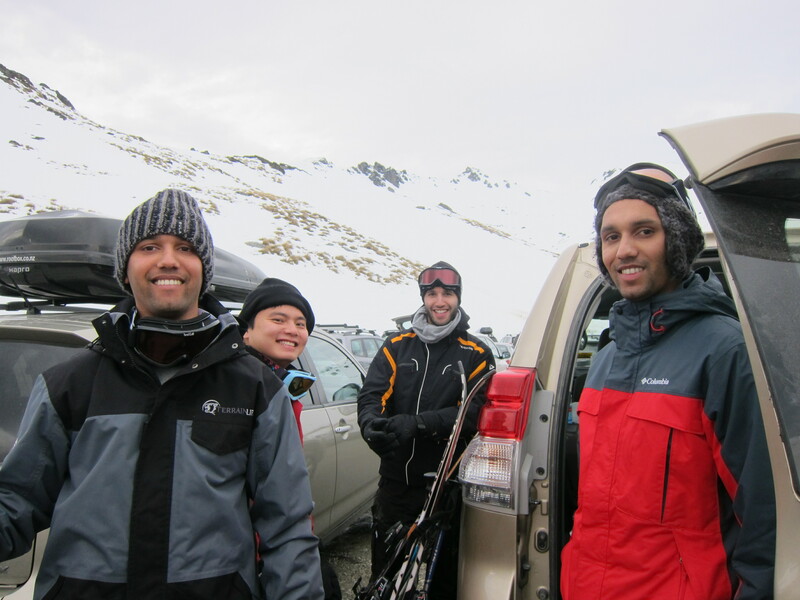 It’s best to come fully dressed to the ski fields – the toilets are far away from the parking lots and the lockers were a hassle. We stayed on the baby slopes on the first day and ventured to the beginner slopes on the second day, and even then, it was tough. I think the toughest part is maintaining a reasonable speed while you head down a steep slope as you try to steer clear of knocking into someone else. The slope paths are clearly marked out and there are different slopes for various levels of difficulty. That said, I was really impressed by the kids! There were kids who didn’t even come up to my knees but they were navigating the slopes with such ease. Plus, they were all bundled up in thick clothing and were so cute! We tried snowboarding on one of those days. Man, it’s so much harder to pick up than skiing. There’s so much coordination in place as well as balancing oneself! Move too far forward and you’ll fall. Similarly, you lean a little too far back, you fall again. I think what is worse is the fact that your legs are strapped to the board, and so when I panicked, I would just fall to the ground on purpose to stop moving forward. That meant more bruises hehe. I didn’t look as cool as I hoped I would be, haha! 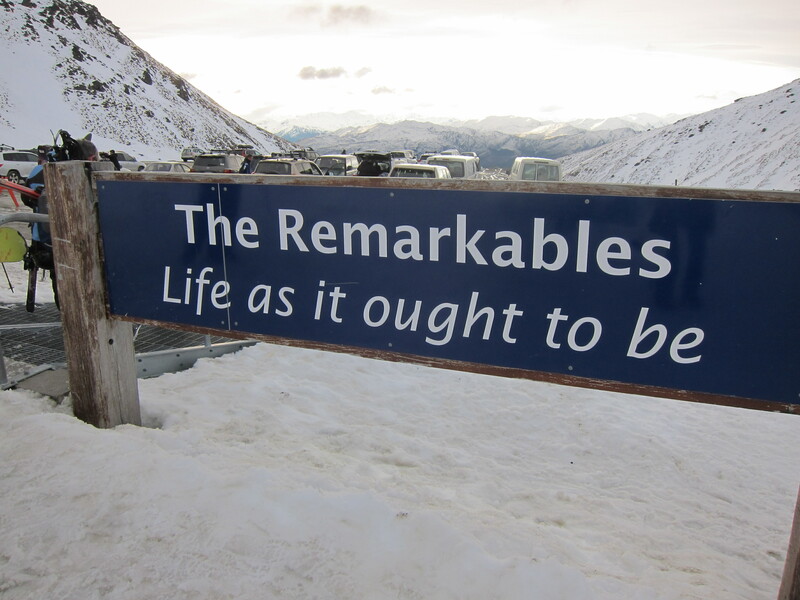 Bruises aside, skiing and snowboarding was a lesson on life in itself. I think it applies to any sport really, but perhaps I was in a situation where I couldn’t just quit in the morning, leave and take the bus back to the hotel. I had an entire day of skiing/snowboarding ahead of me. The phrase “if you fall, you pick yourself up” couldn’t get any more literal than that. I fell so many times, and sure, there would be passersby, Andrew or his friends offering a helping hand at times, but at the end of the day, it was really dependent on what I wanted to do with that situation and what I hoped to achieve. Do I sit there and sulk or do I stand up and try again? 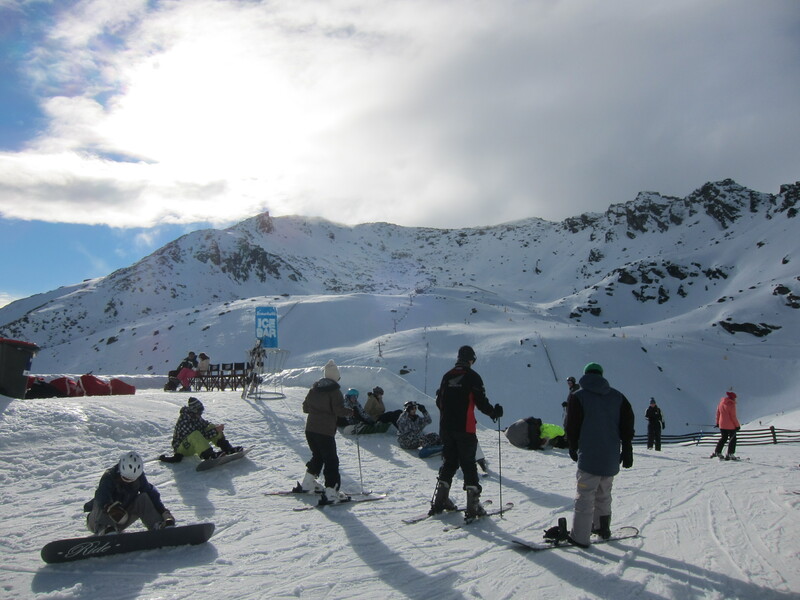 Snowboarding was extremely frustrating, but it showed that as long as you try again, you’ll get there eventually. There was that incident where I was all alone on a particularly steep ski slope – Andrew had already reached the bottom and he was there patiently waiting for me. I fell in such a position that had I moved too much, I would tumble down the slope. I felt so vulnerable at that point. I couldn’t call out to Andrew for help, he was too far away, I think I was close to tears even. But I told myself that no one can help me except myself and God. I said a prayer, and tried getting up and skiing down again for what Andrew claims was more than 5 times and it took close to half an hour, but alas, I still fell and wasn’t making much improvement. Alas, I took my skis off and walked down the slope, HAHA. Of course, food had such a huge part to play in order to keep us full for the day – hot, comforting sandwiches and pies from Fergbaker was a must every morning. 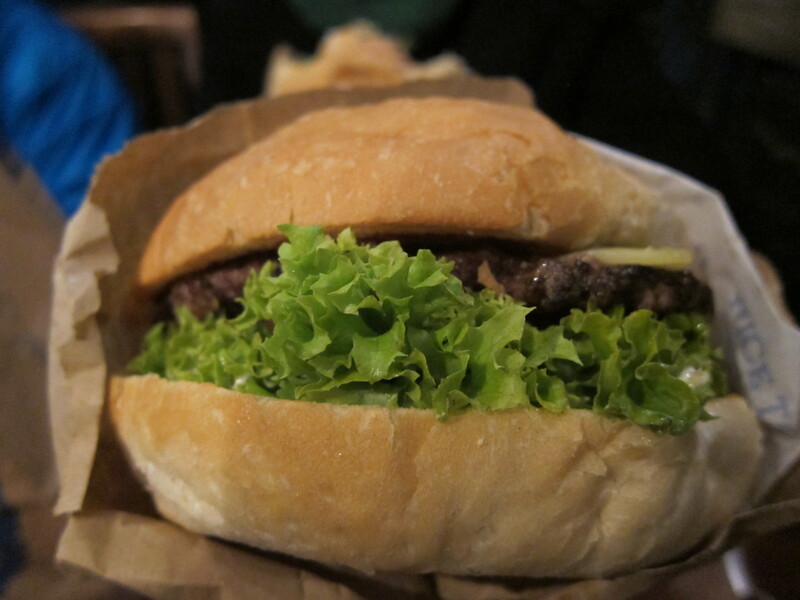 It’s just next to world-renowned Fergburger, which has great burgers. 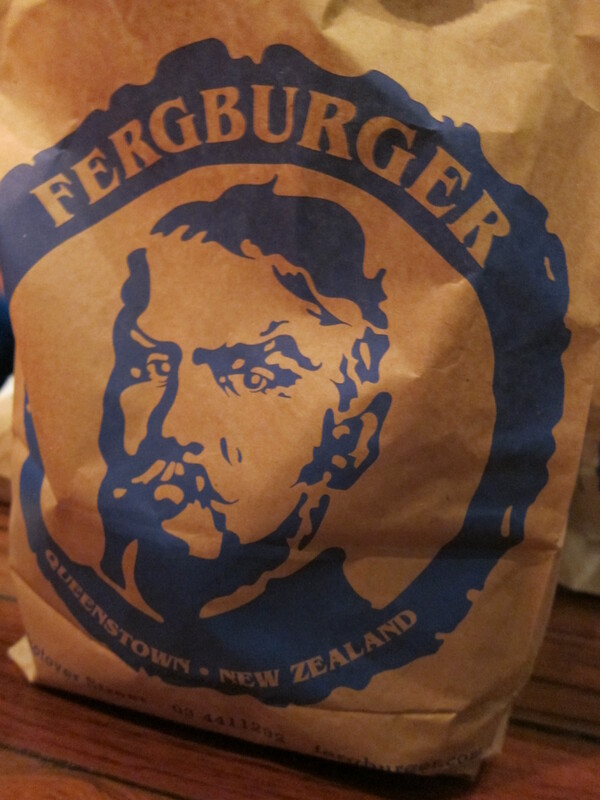 If you haven’t tried Fergburger, you haven’t been to Queenstown! 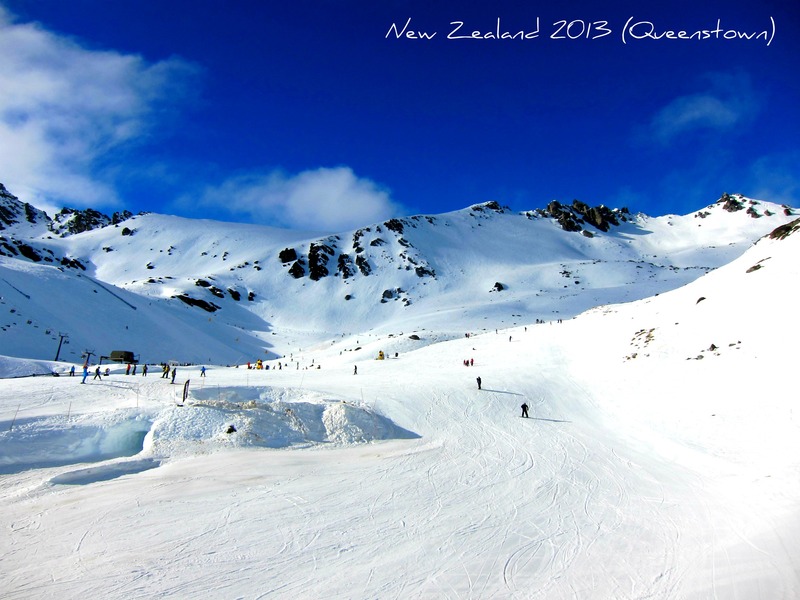 This entry was posted in Out of Singapore, Restaurants/Cafes/Bars, Travels and tagged brazz steakhouse bar & grill, fergbaker, fergburger, new zealand, photography, queenstown, skiing, skiing in queenstown, snow, snowboarding, sports, travelling, travels. Bookmark the permalink.